Slip and fall accidents are one of the leading causes of personal injury for Ontario residents. These can cause soft-tissue injuries ranging from cuts and bruises, to more serious compound fractures and central nervous system injuries. The latter can lead to severe impairments that may become permanent. Due to limitations and liability, the claim process for slip and fall accidents can be complex. Although this type of accident is rather common, there are many misconceptions regarding the claim process that can jeopardize a successful claim for compensation. One such misconception is that victims of slip and fall injury are automatically entitled to compensation paid by the property owner on which the accident took place. In reality, the victim must actually meet strict requirements and follow applicable time limitations. For example, the at-fault party (e.g. property owner) must receive written notification from the injury victim within a certain time period. For a municipality, this can be as short as 10 days. Time is indeed a factor and this time may be compromised, or even expire, while an unrepresented slip and fall injury victim attempts to identify who exactly is liable for their injury. If you or a family member have been injured in a slip and fall accident due to ice, snow, or poor pavement conditions (including other substandard property maintenance), then you deserve compensation. 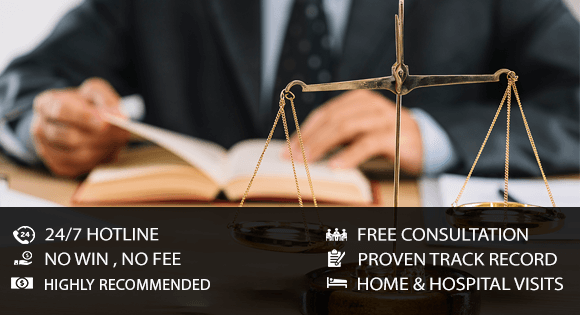 Contact WPC Law for a free consultation and protect your rights. Our expert lawyers have recovered millions of dollars for slip and fall victims across Ontario. We will work to ensure you receive the compensation you deserve. WPC Law will work to identify the issues and investigate the facts to ensure the proper compensation will be rewarded for our clients. As we work on a contingency basis, our clients do not pay a cent until their case is won. Contact WPC Law now, and discover what an experienced personal injury lawyer can do for you.